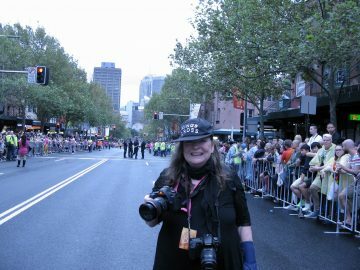 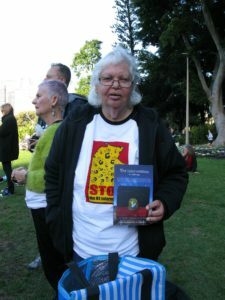 On Saturday 24th June 2017 FAJAC Sydney NDA held a march from Sydney Town Hall to Redfern Park while STICS marched from North Hyde Park to Redfern Park. 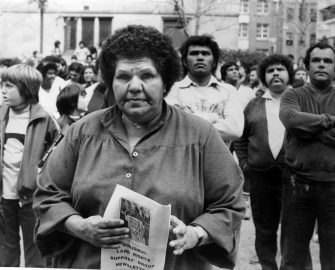 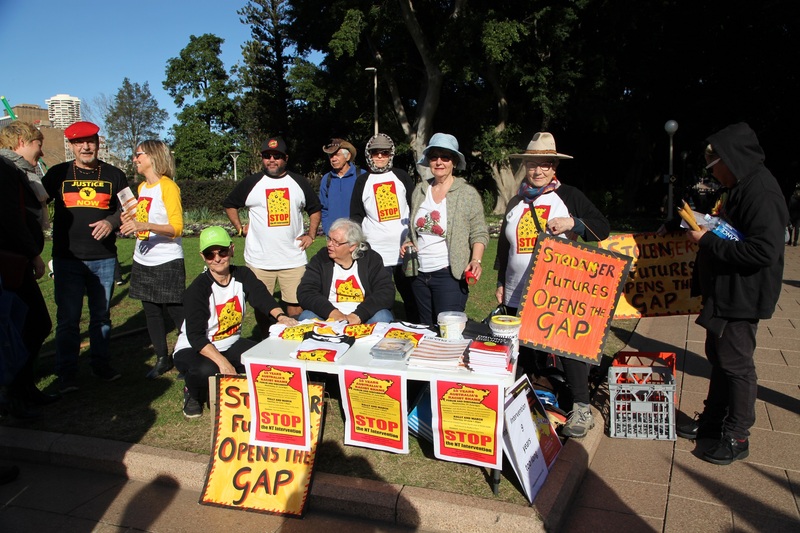 The protest was called “Northern Territory Intervention – 10 years of racist shame”. 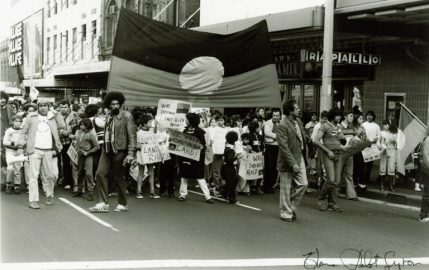 FAJAC Sydney and STICS had agreed to work together in the context of the realisation of two protests occurring on the same date and the need to ensure no one was forgotten to be included in organising the protests. 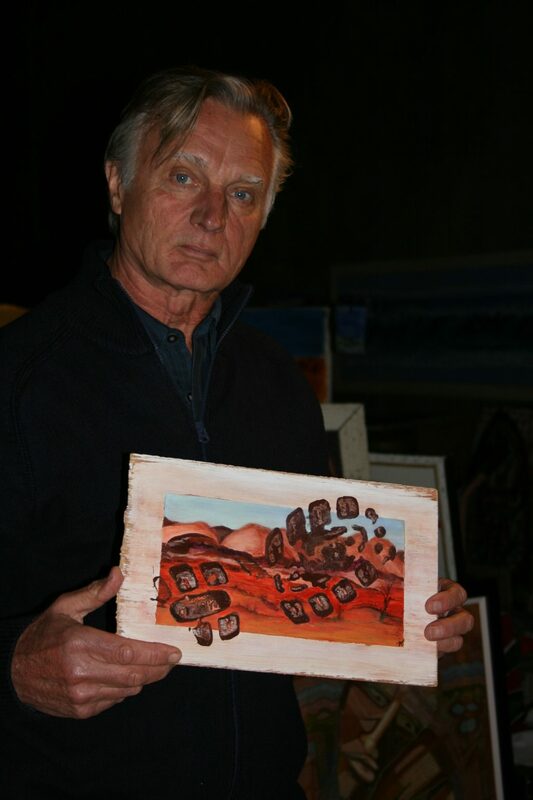 Dr Jeff McMullen, writer, award-winning journalist, writer, activist, spokesperson for STICS, was photographed at the event (above) by Elaine Pelot Syron, holding artwork The Bootprint on land across the NT, by Teena McCarthy. 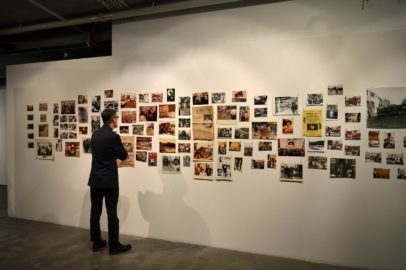 This artwork tells a story of the past 10 years as well as colonialisation since 1788.